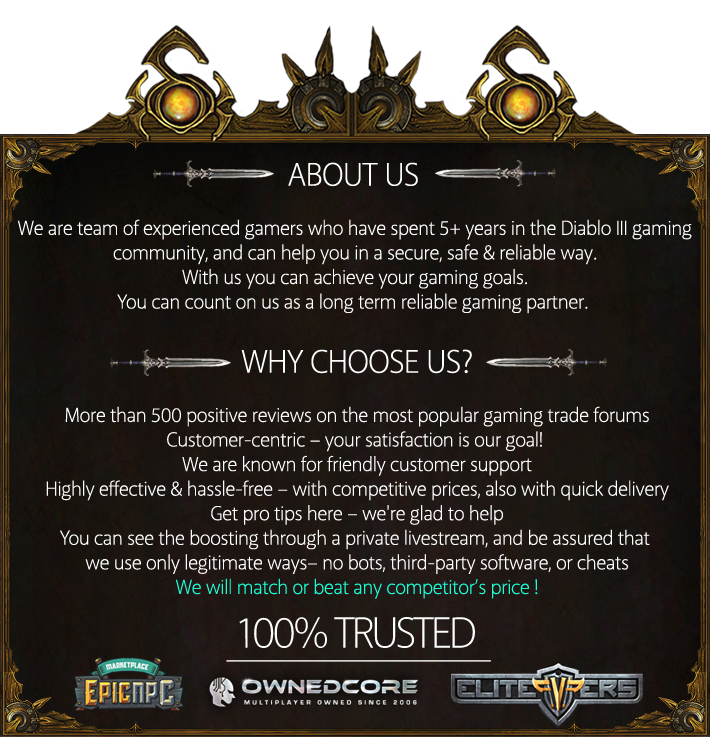 SELFPLAYED SERVICES - WE DONT NEED YOUR ACCOUNT INFORMATION ! Made since some time quite alot use of the services of this seller. Experiences are great, a+++ on all fronts. Fast, correct, polite,.... If you need a seller, this man is your man. Got the 100x leg earlier today. Very impressed, he is very professional and the service started within 5 minutes of my first Skype message. Definitely will use this service again. 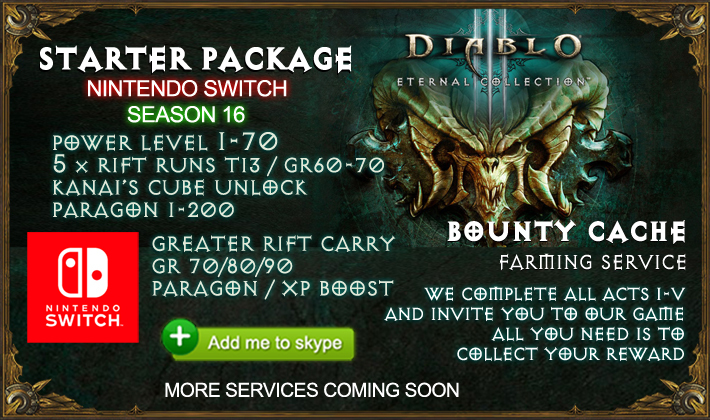 Only team willing to do a custom diablo order. Started instantly and completed order in less than 20 minutes. Gave me a deal. Great team! Very professional and polite. Definitely recommend and will do business with again. Ordered Plevel 1-70. Fast service, very informative and friendly! Will avail GR70 ready from him tomorrow. Great service would definitely recommend! ordered 200 legendaries, got them rather fast, and even got some extras! 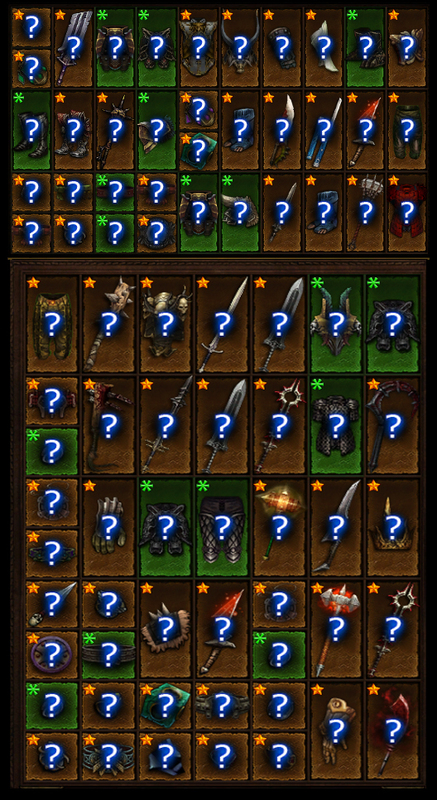 100 barb legendaries just ordered! nice seller, fast and amazing service. 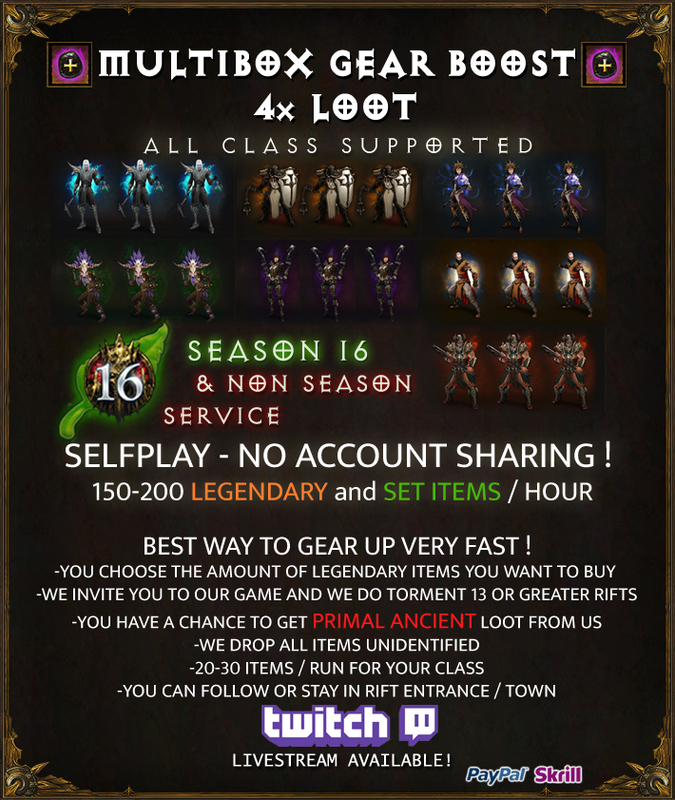 "Ordered 10x GR 80 selfplay runs" These guys are Pro ! I would definitely use their services again! Ordered WD 1-70 and 200 legendaries, will update. Got the 200 items I ordered, and got a pretty good discount on 2 caches. 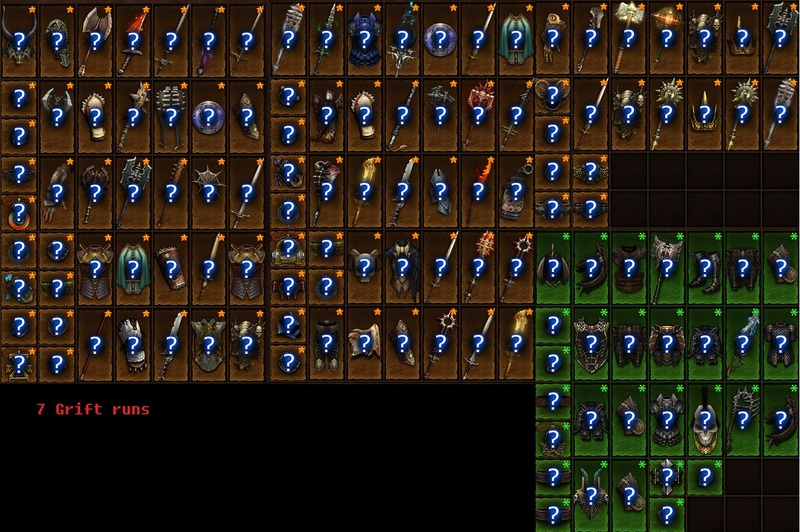 All-in-all it went fine - Took roughly 3 hours to complete the 200 legendaries. Will most likely use him again in the future. 100x legs & 1-70. Amazing service. Fast, no problems, & almost instantly in the game after transaction. Bought from him before, very nice seller. 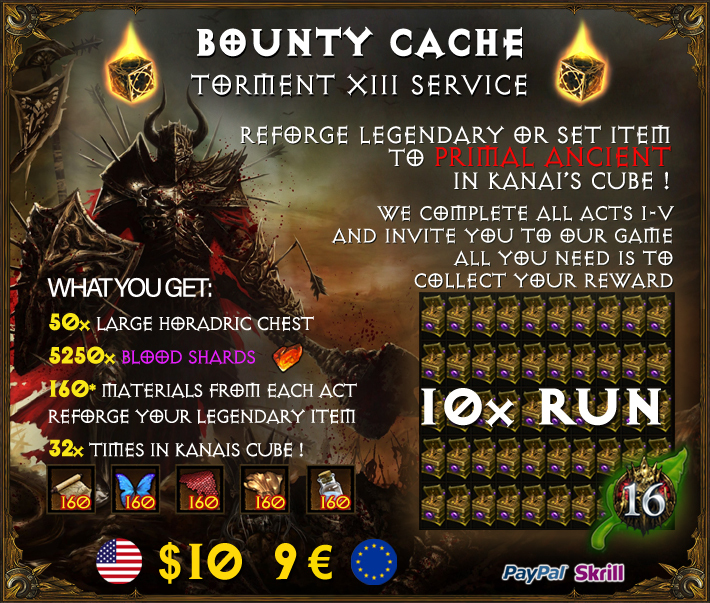 Ordered 2 full T10 cache runs, will update with how it went! Edit: All went smoothly, as planned. Ordered 1-70 in S7, great seller. I bought 10x HF runs and 100x legs, was fast. Nice seller and amazing service. Hi fast seller and fast services, i bought 100x leg. Order 5x Grift 80 in 2 Player Mode. Service went smooth and fast. Really nice guys and very recommendable. Thumbs up! Ordered 5x Grifts 80 in 2 Player Mode. Everything was smooth and fast. Very recommendable! Thumps up! edit : quick and smoothe service. no hickups will order again. Nice Contact, via. Skype... looks great! Just got 200 leg, good and depentable trader, with great prices ! 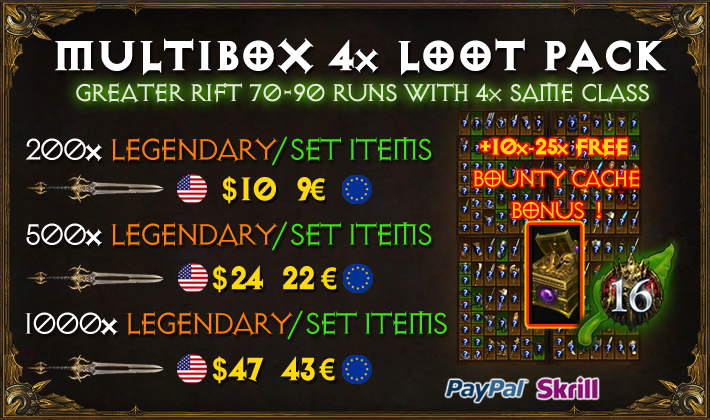 Ordered 100 legendary pack + 10 caches. Super fast delivery, even quicker response times. Fantastic Boosting service! I spend 25$ for 4 different characters to 1 to 70, with the vault included. 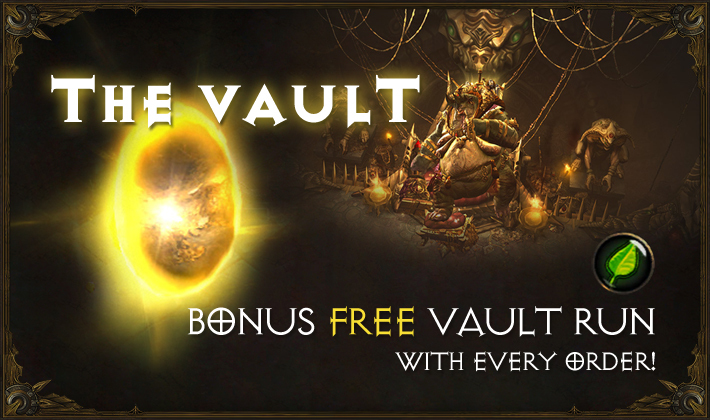 He also added for free a Greater Rift 45 boost! Higly suggested and it was great and fast! Came back for Season 4, same as in season 3 service was amazing. 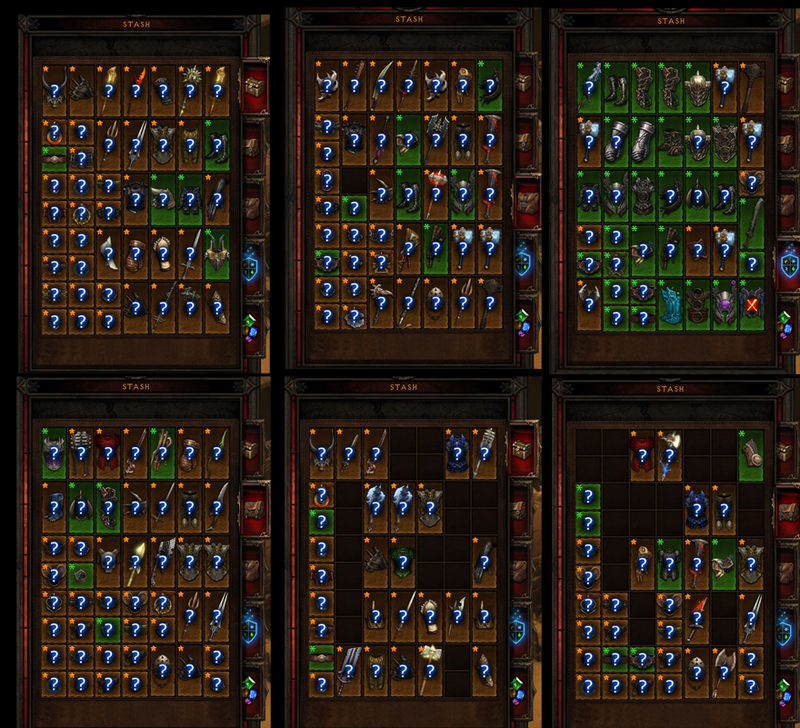 Managed to get almost 100 legendarys from 10 runs. Overal, I'll definetly come back for more! Hello i buy 5 BOUNTY CACHE runs with succes. Very nice seller, helpfull and fast services. 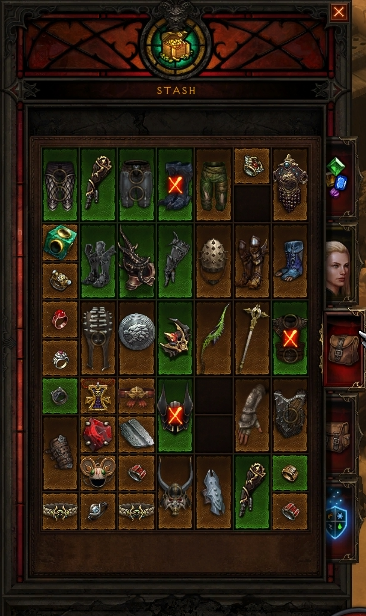 Bought 20 rift runs, everything went very smooth and I got a ton of legendaries (more than 20 legs in some runs). 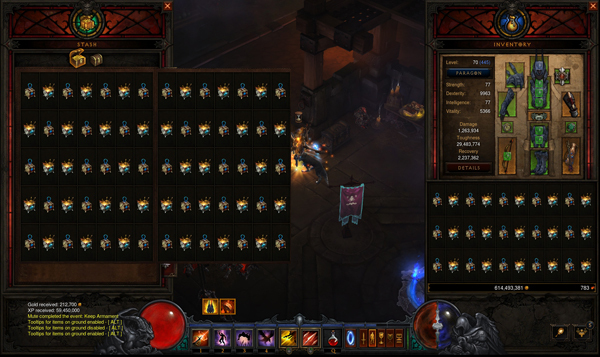 He also livestreamed all the runs so I could see all the legendaries he found. he was fast and took care of me. 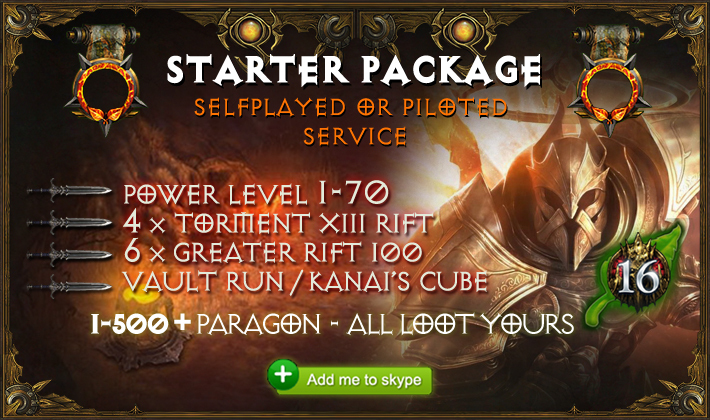 Very fast powerleveling service with good price! Professional and fast boost, would recommend to a friend. I've tried another booster before and I must admit that this guy right here does go the extra mile for satisfying his customers. Very professional and friendly from payment to actual Greater Rift runs I purchased, which yielded more ancients than I could've hoped for, hell I even got my Golden Flense + Denial combo going now. Stream is fun to watch besides being a foolproof way to check that no items are left behind, which is often missing with his competitors.Additionally I ended up with 20% discount because I purchased 20+ runs, which I can only recommend and a mechanospider mount for the new exciting Blizzard game Heroes of the Storm. And as Tormund proclaimed in front of the Wildlings for a certain Lord Commander of the Night's Watch I can utter these words with a clear conscience: "I vouch for this man." 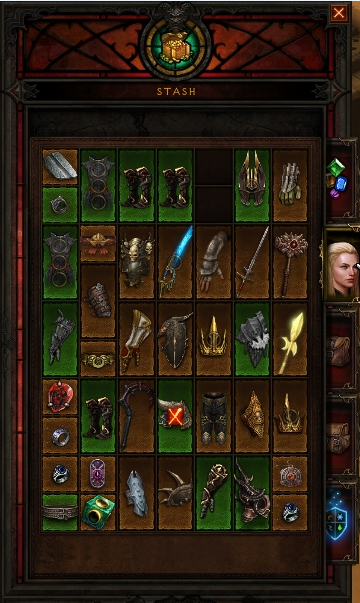 but I've essentially ended up with a pretty much completely stacked stash after 21 Grifts. Very friendly guy, power leveld my barb for free. After some questions I payed only 28 euro's for 20x runs. Managed to get the full wastes set AND ancient BK - weapons! And he turns on a personal stream aswell for you to watch what's actually happening. All in all very positive about his service and I'm pretty sure I'll be back for more! Great service. 10 rift T8 runs, with almost full stash of legs ! Best service of boosting in EU. Highly Suggested. The order was perfect. Ordered 1-70 and some grifts, we are mid service now and everything is working very well! Real nice guy, quick to reply. Tbh I didnt think he would be alive at this late hour, but I was proven wrong. Literally 10 minutes after I added him we were ingame doing rifts, so, real quick! Thank and Ill be seeing you again!